We do not believe in the ‘Use and throw’ culture, and you’ll find things in our home going through numerous cycles of repair and reuse – bags, furniture, appliances, etc. Most of our appliances are bought second hand. Where something is not available second hand, it’s factory seconds. 1. It’s earth-friendly. You save valuable raw material and energy used in making the appliance. The typical home appliance is mostly a casing of metal and /or plastic, with a few moving parts. A fridge, for example, is just a metal cupboard with plastic thermal insulation inside. There is just one moving part, the compressor. If you buy a second hand fridge and it stops working after a couple of weeks, you just change the compressor that costs maybe a couple of thousand rupees. 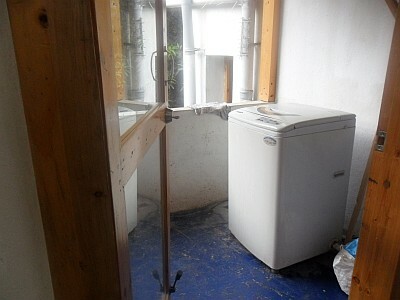 The greater possibility however is that it will never die like this – fridges last decades. Fridge : 2nd hand, cost Rs. 10,000. New one was Rs. 40,000. Washing machine : Cost Rs. 5,000. New one was Rs. 10,000. 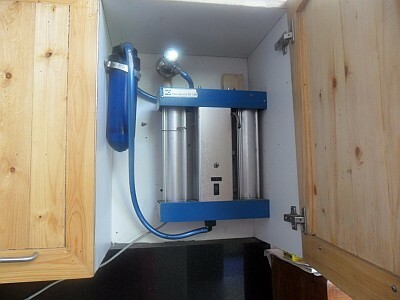 Water purifier: Cost Rs. 2,500. New one was Rs. 6,500. 32″ LCD TV: cost Rs. 22,000. New one was Rs. 32,000. 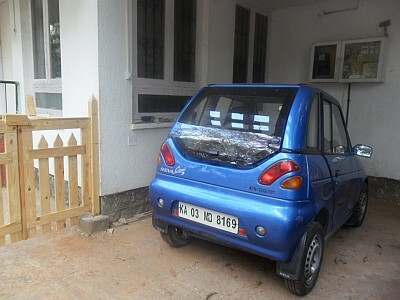 Primary car : Reva – 3rd hand. She’s called Revathi. Cost Rs. 2 Lakh (including refurbishing). New one would be Rs. 4 Lakh. 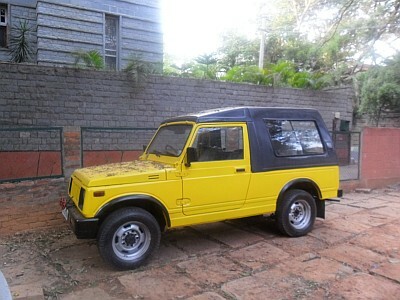 Secondary car : Maruti Gypsy – 3rd hand. She’s called Nimboo. Cost Rs. 2 Lakh (including refurbishing). New one would be Rs. 6 Lakh. A factory seconds appliance is a new one that has been damaged during shipping or storage. It is sold at 30 to 40 % discount. The problem is typically an aesthetic one, NOT functional. For example, a fridge may get a small dent during shipping from the factory. Removing the dent would mean shipping the fridge back to the factory, which is a very expensive proposition. It’s cheaper for the company to just sell the thing at a big discount. Where do you get factory seconds stuff ? There are shops that sell just factory seconds appliances, in every city. 1. Go to a regular appliance shop, identify the brand and model number that you like. 2. On the internet search for the factory seconds shop for the brand (e.g., ‘samsung factory seconds bangalore’) , call the shop and ask them if they have the model. In the shop, find out what exactly the problem with the appliance is, and decide whether it is acceptable to you. 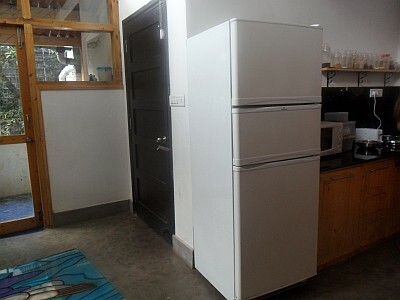 We bought our fridge second hand from Cool House in Jayanagar – 080 26635945. 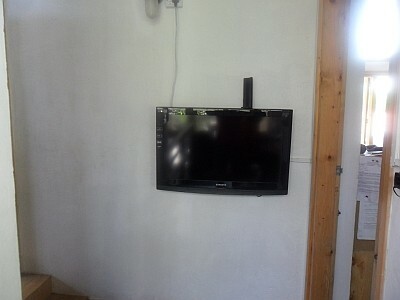 We bought the Samsung 32″ LCD TV from Wazir in JP Nagar – 99729 97505. Other stuff we sourced through Free Ads paper, word of mouth, internet. Nice blog. We try to do a lot of these things that you have mentioned. So many more ideas. thank you. Perhaps you can also mention the websites OLX, Quikr, facebook groups second to none, Think twice, etc that promote 2nd hand products sale and also reuse recycle philosophy. Thanks. That’s a nice idea – I’ll add links to the web pages for second hand stuff. Very Very Informative. I thought I was the only Person living like this. But nice to know there are others too. Cheers. WE ARE MAKING A SMALL ATTEMPT TO PRESERVE THIS EARTH. Hi There, Its very difficult to live by your principles, if you can do it comfortably very good. I have thought about it and do try to do some bit. There is a long wish list…hope I’ll be able to be on the right side and teach my kids some too..For a better life on earth! Nice to know that you recycle your appliances too. Will email you my contact details. Have emailed you my phone number. Please get in touch any time. Would love to give you any info I have. Would you know of companies in Bangalore who recycle household items. I have been searching high and low and most of the companies are just commercial setups, the recycling bit is probably an after thought.